Enjoy our Excellent Trackrecord of 100% Positive 5. 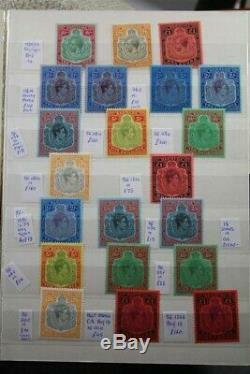 COMMONWEALTH Tresor Album Key INVESTMENT Items Pounds Victoria Stamp Collection. 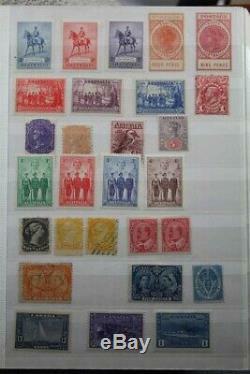 See all 41 Images of eGlobals-Stamps reference #23931 below. 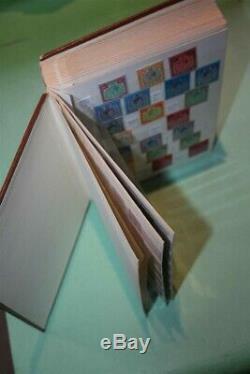 A nice small stockbook which was used as an investment and laid in a tresor for decades. Not really sorted, just as it was bought back then. 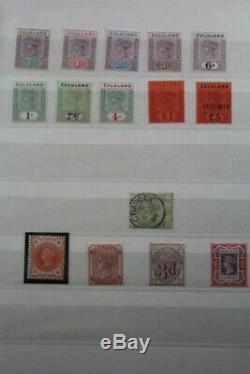 ZULUland with set of 10, 1 Pound certificate, 5 Pound Specimen. 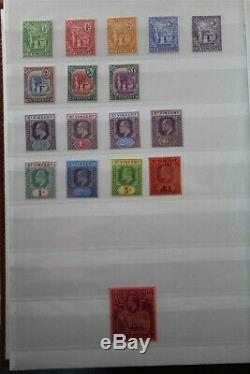 Rhodesia including 1 Pound Double Heads (3+4 Pence MNH). + some good Shilling values. Australia some rare Official Roos. Between also 10 Fr Swiss corner piece. 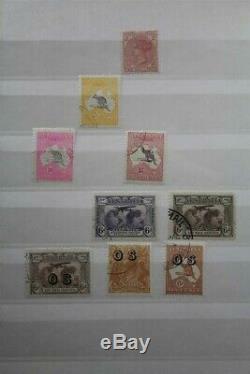 North Borneo set of 13 (1916). Malaysia Tre nggano very rare 100 Pounds , Specimen. 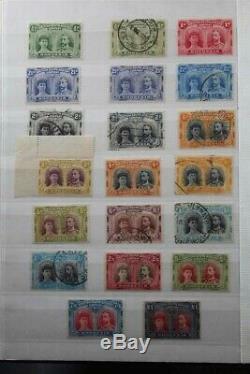 One page including rare 5 Lira Eritrea and 80c Italy (x), high catalogue value. Rare material with high retail value or perfect investment to put for decades in a safe! When you prefer an external image link. See all 41 images below. 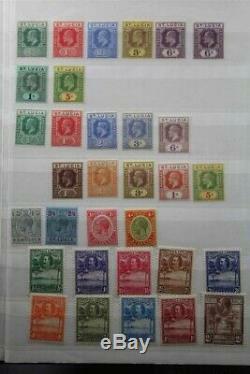 Some General Frequently Used Descriptions of Stamp Conditions. Unused stamp but has been previously hinged. Remains of the hinge or gum disturbance are visible. Stamp appears to be unused but has no gum. It might have been used but not cancelled, or have been issued without gum. Stamp is unused and has never been mounted. 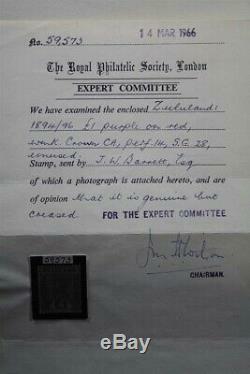 Same as Unmounted Mint but with an assertion that the stamp is not a formerly mounted stamp. We strive for 5 stars on all sales! We strive for 5 stars on all sales. Stamp Dealers On The Web You Can Trust! Add a map to your own listings. 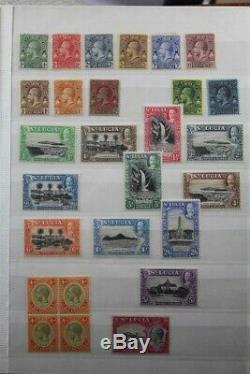 The item "COMMONWEALTH Tresor Album Key INVESTMENT Items Pounds Victoria Stamp Collection" is in sale since Wednesday, March 6, 2019. 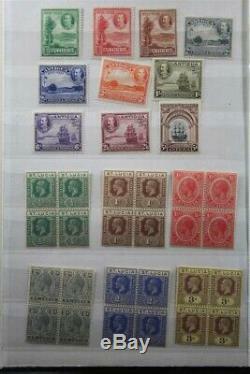 This item is in the category "Stamps\British Colonies & Territories\Collections, Lots". 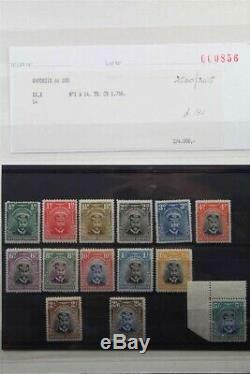 The seller is "eglobals-stamps" and is located in Cothen. This item can be shipped to North, South, or Latin America, all countries in Europe, all countries in continental Asia, Australia.